Thank you for your interest in my services, as a writer I pride myself on my ability to offer affordable professional writing services at highly competitive prices. Below you will find a list of my services and their tentative fees. These fees are just a basic estimation and may slightly vary dependent on factors such as time, research and client preferences. I require my clients to sign a simple service agreement that protects the integrity of my work and protects my client and their interests as well. I also require that a deposit in the amount of 50% of the total cost of the project be submitted upfront with the remainder to be paid when the project is complete. If you are in need of professionally written content, please feel free to e-mail me for a free consultation and quote. For more information please e-mail me at Nicole-Desrosiers@live.com or send me a memo using the form below and I will respond to via e-mail as soon as possible. * All writings will be in 12py Times New Roman font unless otherwise specified by client. * A standard page of website copy includes 400-500 words search engine optimization is available upon client request. 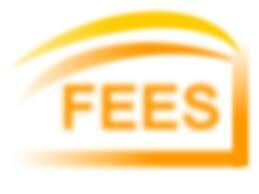 Fees are subject to change at any time without notice.